Spring break is to cocktails like sorority girls are to Malibu and pineapple juice. They just go together and no one is trying to change that — except maybe Malibu itself. Their newest creation steps the lady-friendly liquor up a notch with the addition of tequila — and we couldn’t be more thrilled. Spring break just got better! Malibu has joined forces with rapper Ne-Yo to give the classic coconut-flavored liquor a facelift, and any facelift that involves tequila instead of permanently surprised looking eye brows is a facelift we support. We were once torn between whether to drink tequila or a refreshing and festive coconut beverage during our beach vacation, but no more. Spring break is filled with enough decisions like whether or not to use sunscreen, whether or not to enter that wet T-shirt contest or whether or not to take that last shot off your best friend’s body. We don’t need to think on spring break; we just need to drink. Thank you Malibu for making our lives easier. 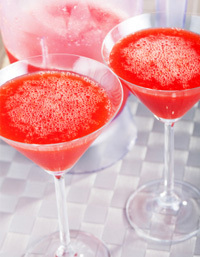 Here are a few cocktails to get you celebrating appropriately whether you are on the beach or simply on your patio. 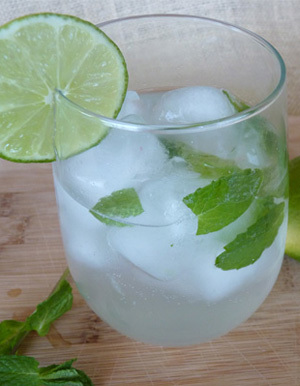 Add fresh mint and lime juice to a rocks glass and muddle together to release the mint flavor. Add Malibu Red, fill with ice and top with soda water. Serve immediately, preferably while sitting in a lounge chair on the beach. 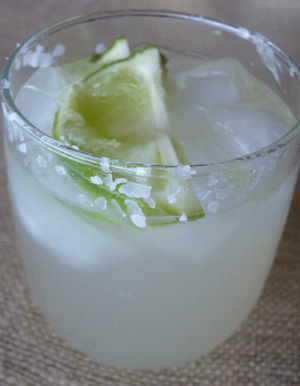 Dip rim of glass in lime juice and then in salt. Fill glass with ice, add ingredients. Stir to combine and serve. Add all ingredients to a blender and blend until they are combined and the strawberries are blended fully.